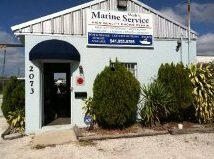 Walt's Marine Service located in Sarasota, Florida is the place to go when in need of marine service. Walt is a certified Marine Mechanic with over 35 years in the marine service industry. Walt offers complete marine service, from routine maintenance and fluid changes to complete engine and transmission overhauls, tune-ups, filter and fluid changes, timing belts, and more. Walt also offers mobile service for customers that can not bring their boat in. Written estimates are given and all work is guaranteed. The goal at Walt's Marine Service is to give each customer outstanding, personalized service at a fair price. Walt does the majotity of work himself, relying on his vast experience to ensure that each job is completed efficiently with the emphasis on quality. Walt's Marine Service has a secure, fully equipped shop with the latest diagnostic equipment for all your boat and engine repair needs.